Shyne's battle with the US Immigration have finally come to an end. Following the completion of his sentence on October 6th, Shyne was ordered deported from the U.S.A. to his country of origin Belize, Central America. Shyne's legal team is pursuing a pardon from the U.S. authorities to allow him to return to the U.S.A.
Local media outlets monitored in Belize cite a T.V, station connected to the the ruling United Democratic Party government as reporting that Shyne will board a Continental Airlines flight in Buffalo, New York Wednesday morning, change planes in Houston and leave on the 1:10 Continental flight that arrives in Belize City at 2:40 pm local time. The T.V. 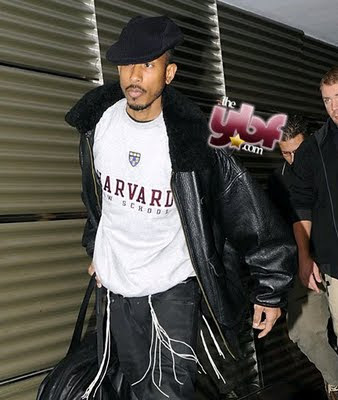 station says that Shyne's lawyer Harvard Law Professor Charles Ogletree will accompany his client on the flight to Belize. Shyne will be received by his father Prime Minister Dean Barrow and his uncle Michael Finnegan Minister of Housing in the Belize Cabinet. Belize Police will interview and process Shyne Barrow at the airport, and from there he will be a free man. (source)http://belizean.com/ M.A. Romero is a Belize based writer and photojournalist and Managing Director of Belize.com Ltd. The company's main web site is at www.belize.com.